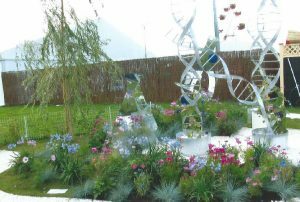 One Offs Limited were approached early 2015 to design a sculpture for Cancer Research to be displayed at the Southport flower show later that year. In conjunction with Mr. Neville Hymus, we came up with a plan to form; 5 No. 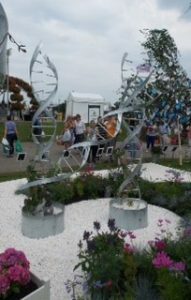 Human DNA – Double Helix Sculptures. 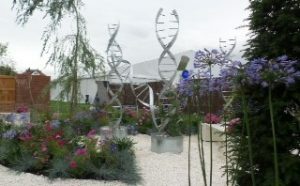 We put our best team to work and managed to spiral roll two 60 x 6 mild steel flat bars to form the frame joined together with 19mm tube to create the sculpture. After many meetings in our workshops it was agreed that this was the best way forward. 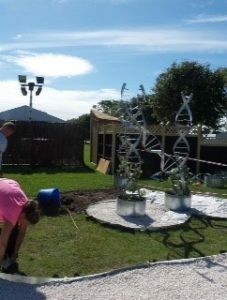 Once the sculptures were finished, they were sent for galvanizing to protect them against the English weather. 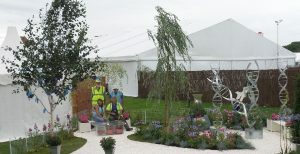 The results were “Outstanding” the viewing public gave great feedback to the people at the flower show. 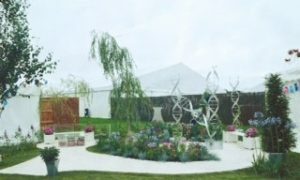 One Offs Limited are Proud to have been able to assist with this project.